Home Governance Governance ISS: Does regime security come ahead of real reform in Gabon? ISS: Does regime security come ahead of real reform in Gabon? Since Gabon’s coup attempt on 7 January, President Ali Bongo Ondimba has been making changes to restore confidence in his government. Bongo, who was recovering from a stroke in Morocco at the time of the attempted coup, named a new cabinet under Prime Minister Julien Nkoghe Bekale. He returned to Libreville to sit through the swearing-in ceremony for the new cabinet on 15 January, and then reshuffled the cabinet again on 30 January – this time in five ministerial departments. Government spokesperson Nanette Longa said this new reshuffle was to ‘deepen the coherence of ministerial portfolios’. Youth activists were then intimidated and arrested under suspicion of being connected with the coup plotters. These moves showed the regime would brook no dissent. Gabon will however need to do more to assuage spiralling sociopolitical discontent in the country. The president’s protracted absence is increasingly unsettling both the population and the governing elite. The failed coup showed the depth of dissatisfaction with government, which appears to have reached the ranks of Gabon’s elite republican guard. 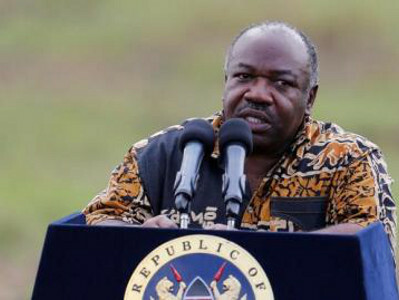 Since a similar coup attempt was reversed by French paratroopers in 1964, Gabon’s armed forces have largely stayed out of politics, despite securing the Bongo family’s hold on power. The Bongos have been in charge since 1967. Political stability in Gabon has been rattled by ongoing waves of sociopolitical unrest since 2015. This has largely taken the form of public protests motivated by labour syndicates, political parties and student movements. Two events in the country’s recent past crystallised factions in the political class and fanned the flames of discontent. These are the battle for presidential succession following Omar Bongo’s death in 2009, and the August 2016 presidential election that pitted Bongo’s son against his former foreign minister, Jean Ping. Election observers highlighted irregularities including the highly questionable vote count in Bongo’s home Haut-Ogooué Province, which registered a 99.9% turnout with 95.9% voting in favour of his re-election. Gabon’s worrisome sociopolitical backdrop has been compounded by a flagging petro-dependent economy. Since the 2016 elections, Gabon’s economic outlook hasn’t improved much. The government has requested and received US$395.9 million from the International Monetary Fund over the past two years to ensure its macro-economic stability. But fiscal stabilisation doesn’t necessarily address the socioeconomic and political challenges that resurface during protests. These include lack of access to jobs, diminishing social mobility and the deteriorating quality of health and education services. Meanwhile Gabon’s military expenses in 2017, at US$288 million, were the highest ever recorded. This as the country’s debt-to-GDP ratio rose to its highest in 10 years, at 66.5%. Gabon’s government chooses funding for security – from both real and imagined threats – over investment in real political and socioeconomic reforms, which could help address discontent. To mend fences after the 2016 post-electoral crisis, Bongo convened national political talks – the Angondjé dialogue – from March to May 2017. The talks delivered only cosmetic changes to the four main agenda items – institutional reform and consolidation of the rule of law, electoral reform, political modernisation, and national cohesion and peace consolidation. Some opposition parties participated, but Ping’s bloc boycotted the process, which was largely viewed as an attempt to legitimate a president elected in a deeply flawed process. The dialogue’s agenda also failed to address the elephant in the room – a constitution without presidential term limits. Ping’s refusal to recognise Bongo’s electoral victory almost three years since the last election and four years to the next one, sustains post-electoral discontent. To avoid future electoral crises, institutional roadblocks must be removed. Since the attempted coup, government’s reaction to public protest has been security-based, intending to protect the regime rather than address the causes of discontent. This threatens stability and doesn’t bring any relief to the problems brought on by Gabon’s economic stagnation.